Making good any defect in work made or materials supplied under a contract must be delivered by the builder if the builder is notified of the defect within 4 months (or a greater period if supplied for in the contract) after practical completion of the building work. However, you and the builder may agree in the contract that particular defects are excluded from this provision. All of our reports are clear and easy to read and are supplied within All of our reports are clear and easy to read and are supplied within 48 hours. You will also acquire a thorough verbal report before the inspector leaves. We have 4 different levels of inspections available. All reports cover structural certainty, roof cavity, subfloor, interior of every room, outside house perimeter, fences, outbuildings and trees. The higher the inspection level, the more detail about the home you will receive in the reporting process. Click to the right to receive a quote for the different levels of inspection and associated detail. The price depends on some factors. To provide a quote we need to know something more about your house. Use the form on this page, and tell us a little bit more about the property. Easy, quick, no fuss, great price. Thanks, Allan! The report was well written easy to understand. Allan is very professional, honest and down to earth. He explained everything prior to the inspection of what the building and pest inspection entailed. Allan Jones completed a very in-depth inspection leaving me with a peace of mind that I haven't got any pressing issues allowing me to purchase with confidence. Great communication and instant no muck around service. Grateful to David. He was so friendly, on time and accommodating of our needs. Very professional. David was great, very friendly and professional. Organised and followed up as he said he would. Highly recommend! Professional, friendly, on time and knowledgeable. Quick turnaround on the report and report is easy to follow and understand. Allan was so lovely to deal with. So professional and kept us in the loop the entire time. Joel was brilliant! He followed up with a phone call to ensure I understood and gave his opinion. Made me feel confident I was dealing with a professional. Joel was great! The report was sent prompt and he followed up to see if I had any questions. As with the building inspection, I couldn't be happier with Joel's pest inspection. He was prompt, efficient and ran me through all the checks he did. I'd happily recommend Joel. Joel was professional at all times and kept me updated not only before the inspection but during and afterwards. His report detailed every aspect of the inspection including recommended fixes that weren't actually considered defects. I would happily recommend Joel to anyone else looking to have a building inspection done. 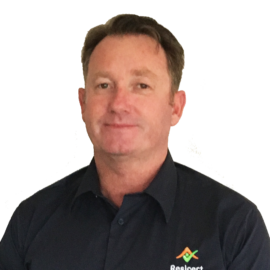 We used Resicert team service to provide us with a pre-purchase building report a few months ago and were very satisfied throughout the whole process. They were reliable and efficient with attention to details. Anthony went above and beyond to explain and show us the issues with different parts of the house. We were impressed with the clear and comprehensive report which was sent to us within almost 24 hours just before going to the auction. We wish to thank the team and would highly recommend their services. Very helpful. No way would I have picked up some of the issues even with the help of my friend who is a builder. Provided great photos. If I were to buy a property, his inspection would have provided me with a clear picture of the works required. Joel was fantastic. Great detail in photos and descriptions. Would recommend to anyone I know looking at purchasing a property in the future. Thank you for being able to arrange on such short notice! Professional, prompt and at a great price! Professional and very, very helpful. Dealing with Anthony was a pleasure. He was very polite. He called when he said he would and gave me lots of relevant information and his report was thorough. Prompt, courteous, explained clearly what can be brought to the builder's attention and what could not. Friendly, prompt, efficient service. Included a detailed report that was easy to read, with exactly the level of information I was seeking. Very satisfied, and Simon was delightful. I found it very easy arranging the inspection as Joel was very helpful and thorough with his advice. After the inspection, I received my report promptly and still, Joel was willing to answer all questions I had and gave advice. Punctual, courteous and easy to deal with. Brilliant inspections, good reports, fast service! Excellent job! Thank you, Joel! Excellent service, prompt and extensive report. Great Service, precise and on time! We found Simon extremely helpful. He enabled us to feel at ease. The report was detailed (with lots of photos) and contained plenty of advice for future prevention and control. Dennis was very easy to deal with, polite and attentive. He was punctual and provided us with detailed verbal information when we required during the inspection. The report was detailed and with photos. Very impressed overall. 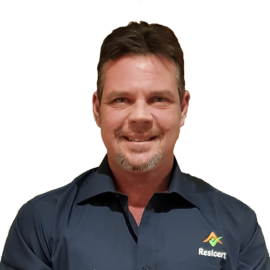 It was an absolute pleasure to deal with Resicert Property Inspections. Simon contacted me immediately and walked me through the entire pre-purchase inspection process. He was extremely helpful/understanding, took the time to explain the inspection and submitted the report within 48 hours. The report was very thorough and easy for a novice to read. Their price was extremely reasonable and would gladly recommend this service to anyone in the future. They definitely took the stress out of purchasing a home. The property was thoroughly checked for any nasties present. Thankfully, none were found. He pointed out future suspect areas and offered solutions. All in all, a job well done! A job well done. All important aspects were covered to help us make the right decision to purchase this property. Joel was fantastic! Very professional, detail-orientated and explained everything really well! Great service, could not fault anything. He was able to juggle appointments to inspect my property earlier than originally planned. He did so according to the brief and then followed up with an immediate phone call to advise of his findings. The report followed later in the week. The whole process was easy and Simon personally is a very easy person to talk to and talked through his findings in layman's terms. Well done Simon. Very comprehensive and practical report. Anthony was very knowledgeable and helpful. Dennis was fantastic, would highly recommend his service. Anthony has completed three building inspections for me as part of my house-hunting process (thankfully now completed!) In all three cases, he has been professional, responsive and proactive. His guidance and knowledge was instrumental in helping me make informed decisions in relation to buying my home. I would happily trust Anthony's advice in the future. Simon was great. Found things I would have never thought of looking for. Thank you, Simon! Very good! Your building inspector had a friendly present manner over the phone and expanded in layman’s terms how the inspection was to be conducted. Simon was very professional. I have been getting extensive updates on a daily basis. Excellent work thanks! 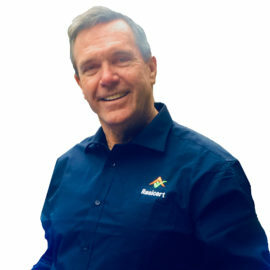 Dennis was fantastic, not only was Dennis, courteous and honest, but Dennis was also detailed in how he conducted the inspection and communicated back to me both verbally and with the report. I'll be recommending Dennis to anyone. 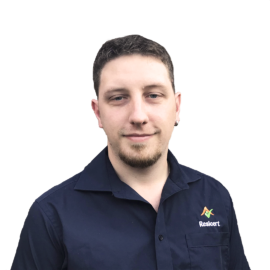 Dennis was able to arrange a building inspection within a couple of days and sent the inspection report to us within 24 hours. Fast and effective service. Will definitely recommend Resicert to friends and family. Anthony was proactive, very responsive and an absolute pleasure to deal with. I cannot fault him or the service I received in any way! Very happy with the service Dennis provided. The photos provided with the report are a nice touch and allow customers to picture what the report is discussing. Amazing service from the first phone call to the end of dealings. Very thorough, great price, fantastic service, all completed within the agreed timeline. 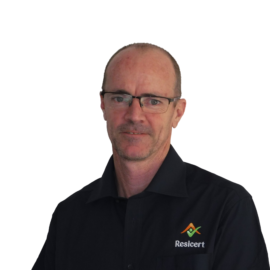 I would happily recommend Resicert to anyone requiring a Building Inspection. Thank you Simon for making this process run so smooth. I dealt with a very professional inspector named Simon Mannion. He has great communication skills and left no question unanswered. Dennis helped me very much. This is the first time I’ve done anything like this. I was unsure about what to do. I needed help with a few things and he was there to inform me and help me. He reported back to me with a good report that night. We couldn't be more impressed with the punctuality and quality of service that Anthony provided. He not only completed a clearly set out and thorough report but also took considerable effort to speak through each of the key items in the report and check that I was satisfied with my understanding of the issues raised. I was very glad to have used this service and would happily recommend it to others. Anthony was fantastic! He was very thorough in the overall inspection. Turned up on time and gave lots of detail in explaining each step. Gave added input on various other things when asked. We were very happy with his work and highly recommend him. Anthony is a thorough inspector, he rang me straight after the inspection outlining his findings and professionally responding to my queries. Again after the release of the report, I had a few questions, to which Anthony has promptly and professionally responded too. All glories to Anthony Levan for the fantastic service provided, some of the highlights: call him at any hour (be sensible not at 12 in the night,) happy to give time to your queries, happy to speak to sales agent and explain the report, more than happy to resolve any queries, quick and efficient. Excellent service was able to accommodate our requests quickly, able to provide exceptional advice - highly recommended! Anthony was very professional and explained the issues that needed attention. Amazing attention to detail in both written and verbal reporting. Anthony went above and beyond with aftersale customer care and follow up. Simon was extremely thorough and showed me his concerns with the building. He then gave us a report complete with photos explaining what and where they were. Your building inspector was prompt, thorough and communicated well. Anthony was a pleasure to deal with, his communication and service was very prompt and efficient. The report he provided us with post his inspection, was very detailed but also easy to understand. Very happy overall and would be happy to recommend to my friends and family. Thanks again! Dennis was fantastic and great to deal with. Would highly recommend to anyone! Excellent service provide & detailed report. "Dennis did a great job ... performed a very thorough inspection and comprehensive report. He was also happy to run over the issues picked up over the phone which assisted greatly in reading the report later in the day when available." "Great Service from start to end. 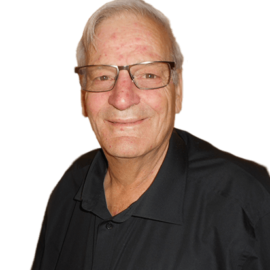 Dennis was great to deal with and very knowledgeable. The report was fantastic, very detailed and lot of great photos. Was contacted when the inspection was completed and was give a quick overview of the results. I received the full report with in 12 hours. I would highly recommend anyone buying a property to get an inspection done, it's worth every dollar." Dennis was very efficient and polite. Will definitely use his services again. Report was clear and detailed. "Liked Dennis's friendly and professional manner - his verbal report was very helpful and thorough. The written report contained lots of photos that highlighted areas of concern/interest. I am happy with this service." Fast, reliable and high standard service. "I had an inspection carried out on my established property. Resicert Inspector Dennis was polite and excellent to deal with. He had excellent knowledge on the subject, customer service and advice on any issues raised. Would be happy to use again in the future." Thorough & detailed. Very easy to deal with and prompt friendly service. Very prompt and efficient service, thank you Dennis. A very comprehensive report. Would love to meet you sometime if you're in the area after we move. I was very happy with the service. The house was not easy to inspect and the inspector did a thorough job and made a number of important observations. Another example of fantastic service , prompt and polite as well, only too happy to help , great work Brett. Elio was on time, very professional and very thorough. I found the whole experience very good and am very happy with the detailed report. Will highly recommend you and your services. I have used your service twice now and found Elio to be extremely professional at all times. Punctual,courteous and very helpful. Found our inspector to be extremely knowledgeable, polite and friendly.... Would have no hesitation in recommending him and your company. The service was excellent and very professional, well documented, with very professional presentation. Got some good advice regarding the general maintenance of the house, which was not given to us by our builder. Appreciate going above and beyond the services requested. The service, communication with us and punctuality were greatly appreciated as was the attention to technical detail. Very easy, great report content – photos made it easy to understand, and allowed me good leverage to discuss issues with the seller/agent. The punctuality was appreciated. The thoroughness of Frank’s inspection was impressive. Efficient, well organised and thorough. The report presentation was clear with excellent visuals and information. So prompt; comprehensive coverage of inspection and pleasant to deal with. Brilliant website – easy to navigate and we knew exactly what we were getting. Follow up from the inspector was immediate and polite. Once we gave the go-ahead, it was organised promptly with the agent, and this was confirmed with a text message (one of the little things that reassures you that you have made the right decision) The report is detailed and taking photos is an excellent touch. Unlike so many companies you deal with these days, Resicert did EVERYTHING they said they would, brilliant! I would highly recommend them. Quality system, process, people and product! Well done! Brilliant Inspections, Best Reports, Fast! 100% money back satisfaction guarantee. Constant communication through all steps of the inspection service. Fast response and turn around times within 48 hours. Digital report (with photos) which fully complies with Australian Standards AS 4349.1-2007. Clear and easy to understand report. 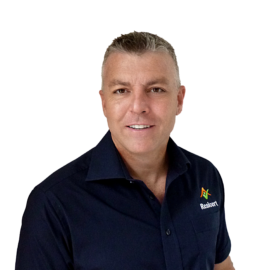 More than 20 years experience in property. Ongoing support for any future queries.